The wait is over, here comes the all new Galaxy Note 4 with lots of exciting features. It was expected that Samsung will come up with something new in this year’s IFA event, but Samsung launched its Galaxy Note 4 at the pre-IFA event, Samsung Unpacked 2014 Episode 2. Along with this Samsung has also launched the Galaxy Note Edge which features a unique look with its edged display. The Samsung Galaxy Note 4 comes with the new S Pen stylus with improved pressure sensitivity, as well as the new Smart Select feature, apart from the new calligraphy and signing pen writing options. 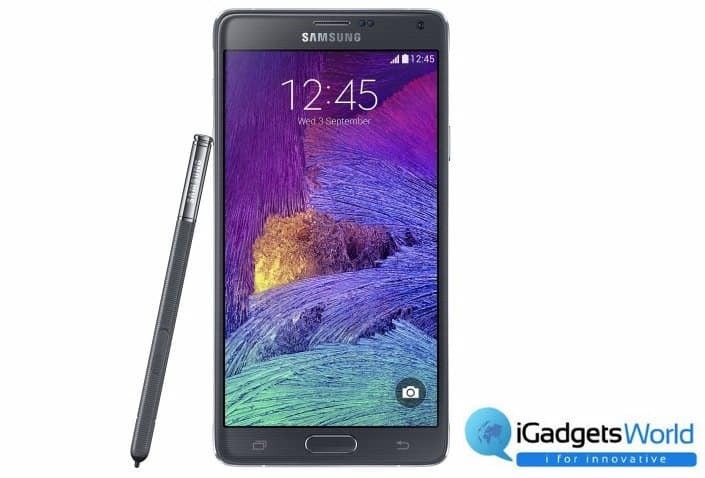 The Samsung Galaxy Note 4 runs on Android 4.4 KitKat, and features a 5.7-inch Quad-HD (1440×2560 pixel) Super AMOLED display with a pixel density of 515ppi. The Galaxy Note 4 will be made available in 4G LTE and 4G LTE Cat.6 (LTE Advanced) variants depending on the region. The processor will be either a 2.7GHz quad-core processor, or a 1.9GHz octa-core (1.9GHz quad-core + 1.3GHz quad-Core) processor. Both will feature 3 GB RAM. Galaxy Note 4 features a 16-megapixel autofocus rear camera with Smart OIS, and a 3.7-megapixel front-facing camera with a f/1.9 lens. It comes with 32GB of built-in storage, and expandability via microSD card (up to 64GB). Connectivity options include Wi-Fi 802.11 a/ b/ g/ n/ ac, GPS/ Glonass, NFC, Bluetooth v 4, IR LED, USB 2.0, and MHL 3.0. Meanwhile Android Authority posted a first look video to Youtube. This was Samsung big launch bringing up the newest from their popular line up of Galaxy Note series. We have also added the detailed specifications below.